Our local master painter Deb Sowerby will walk you through step-by-step to create a wall-worthy painting of your own (think Bob Ross only saucier!) 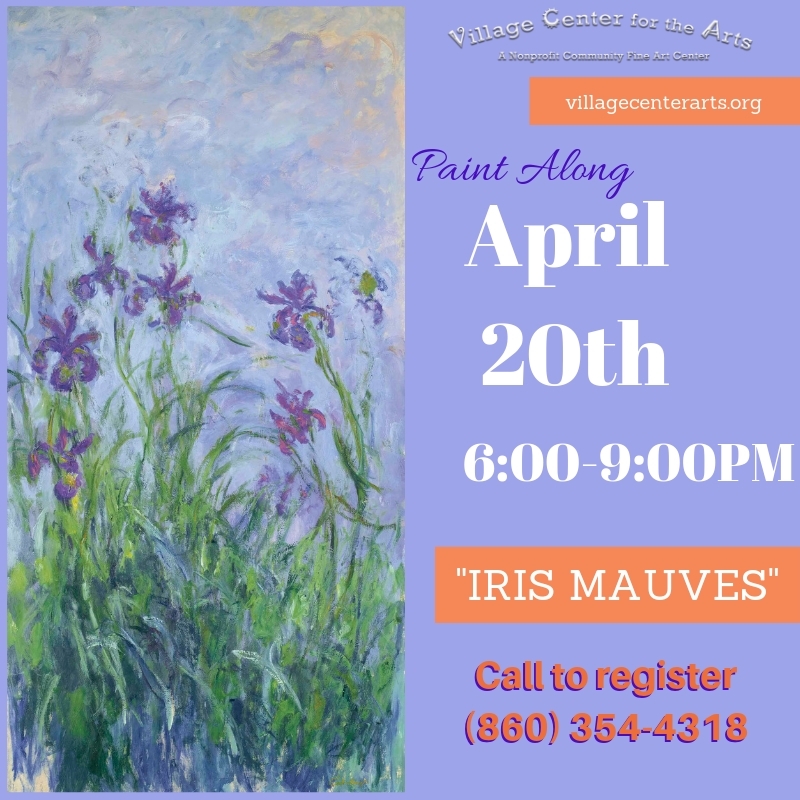 This month’s featured painting is Claude Monte’s “Iris Mauves” which depicts vibrant violet Irises in his beautiful impressionistic fashion. This great for beginners or experienced alike. All materials are included. You are invited to BYOB and a snack to share (nut free please). $35. Per person. Please call (860) 354-4318 to register! Registration confirms your spot. Located at 12 Main Street, New Milford, CT.